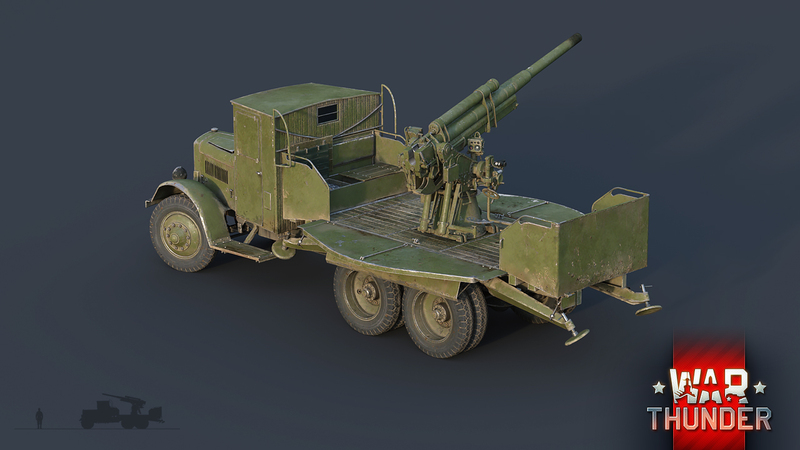 The 29-K is a Soviet self-propelled anti-aircraft vehicle created by mounting a 76-mm 3-K anti-aircraft gun on the reinforced base of a YaG-10 truck. In the mid-1930s, the relentless progress in aviation technology resulted in a need to protect mechanized columns against air assaults. The simplest solution was to install an anti-aircraft gun on a truck base, which resulted in an effective and inexpensive cover vehicle. 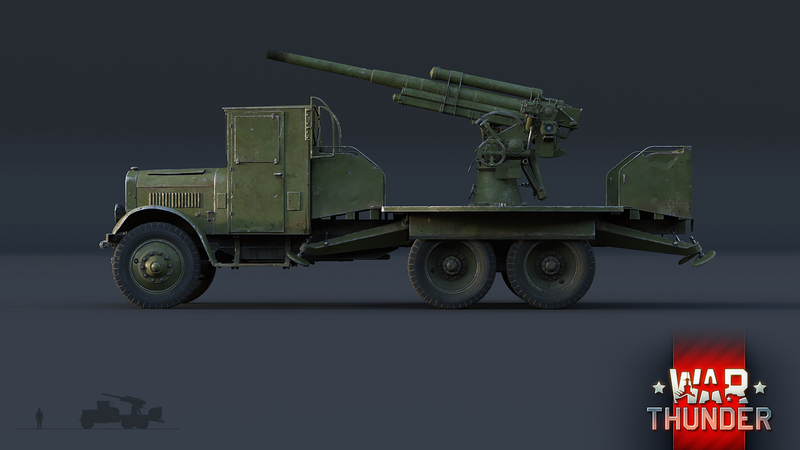 The 29-K is a Soviet self-propelled anti-aircraft vehicle created by mounting a 76-mm 3-K anti-aircraft gun on the reinforced base of a YaG-10 truck. 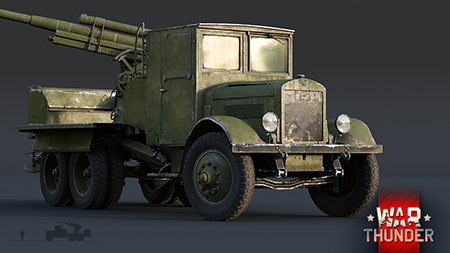 In 1933, the Soviet Union launched their efforts to mount high-caliber anti-aircraft artillery on a self-propelled chassis. While their attempts to fit a 76-mm long-barreled gun on a T-26 tank chassis ultimately ended in failure, the project to mount anti-aircraft guns on the base of the triaxial YaG-10 truck met with unalloyed success. Between 1935 and 1937, 61 units of the new SPAAG were produced under the designation 29-K.
Before it could be fitted with guns, the YaG-10 truck had to undergo a minor upgrade: the base was reinforced, four stabilizing legs with jacks were added to the underside, and the sides were replaced with semi-rounded armor plates that could be reclined in combat to create additional space for the crew to operate. 29-Ks were put into service in the Red Army in the initial stage of the Second World War. 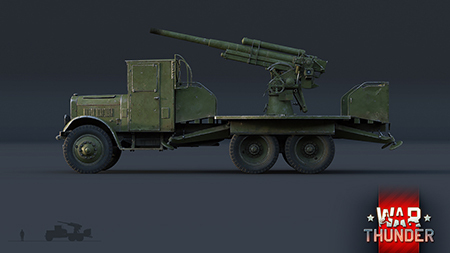 High-caliber anti-aircraft artillery first appeared in War Thunder in the form of the German self-propelled 8.8 cm Flak 37 auf Sd.Kfz.9, and now the USSR also has its own medium-altitude anti-aircraft gun. Of course, in practice, hefty-caliber SPAAGs like this will primarily play an anti-tank role in the game. 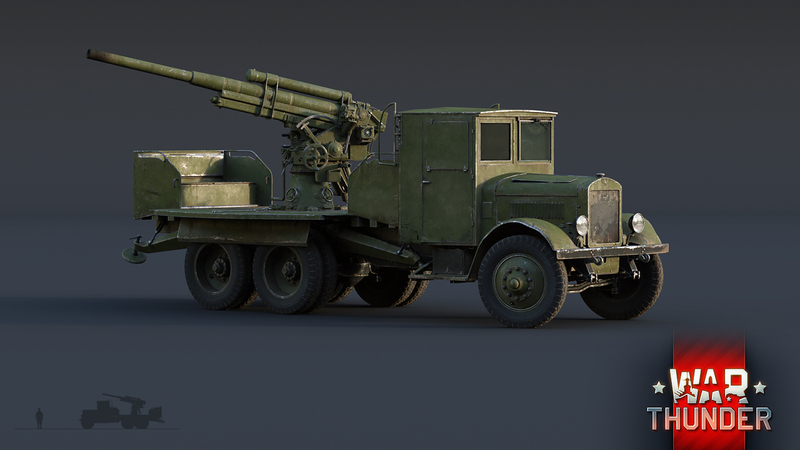 Although the staid, heavy-duty YaG-10 won't be able to match its lighter partners such as the GAZ-AAA or ZIS-12 for speed, its stunning ability to carry up to 10 tons in weight makes it capable of bearing artillery that is much heavier and more powerful. 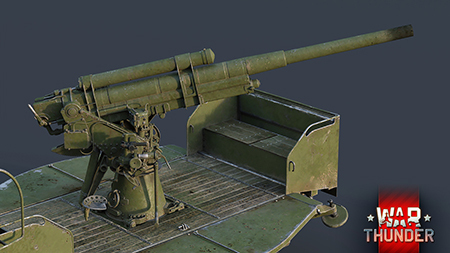 The 3-K 76-mm semi-automatic anti-aircraft gun offers exceptional firing range (shells reached altitudes of 9.5 km), good ballistic trajectory, and an extremely high rate of fire, which may prove decisive in the fast-changing conditions on the battlefield. Also one of the most important features of the AA gun is its tremendous firepower - a 76mm shell requires high velocity which is provided by a powerful 3-K cannon. And its firepower against ground target is known for its remarkable armour-piercing qualities which are similar to those of the German 75mm guns. When attacking enemy armored vehicles, it's best to fire first from a covered or concealed position on the map, as the 29-K will be sluggish getting away from return fire. The 29-K high-caliber SPAAG will soon be a new addition to the Soviet anti-tank guns, joining rank 2 on the USSR ground vehicle tech tree. Keep an eye on our news to find out what else is coming in the War Thunder patch 1.67! why? its usefulness as an AA vehicle is pretty small and with air burst rounds being manually controlled would require a lot of unnecessary work for something that a lot of people wont ever use. We do not plan to have such ammo in game. Stona_WT, But this can be used as an AA gun? At least that is what is suggested in the short clip. We need/want airburst ammo for these types of vehicles... If not for the German FlaK halftrack, then for this truck. Because it was used as an AA platform unlike, as you say, the 88 truck was. They should give all of them airburst shells. We do not plan to add such ammo to game. Stona_WT, may i ask why you guys have no plans ?? We want the Breda 52 90/53 !!! Still waiting for that Ju-388 announcement ;). Anyways how much Soon (TM) until the patch? Something between soon and very soon! Thulle_, So.. Around a month, maybe a month and a bit? If that gets added I hope the Mosquito with a 32 pounder (94mm) does too.